Pioneers in the industry, we offer mason trowel, plastering trowel, wall ties hold fast, plumb bob, wrecking bar and digging bar from India. Fostered with a team of highly experienced professionals, we are offering Brick Laying Trowel. 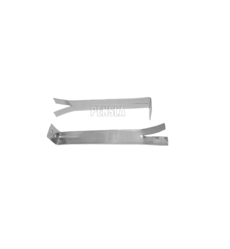 The offered trowel is provided in various specifications as per the need of the clientele. 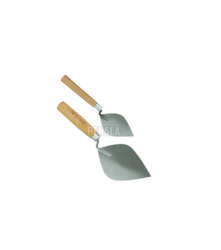 Our given trowel is designed utilizing the finest quality material and advanced technology. This trowel is carefully checked on set quality norms that assure its quality and strength. It is also called as Concrete Trowel, Karandi, Karni, Plaster Karni & Brick Laying Trowel. Fostered with a team of highly experienced professionals, we are offering Plastering Trowel. 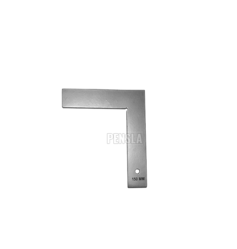 The offered trowel is provided in various specifications as per the need of the clientele. 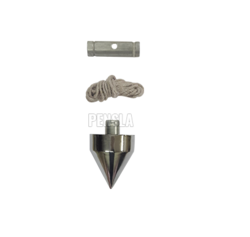 Our given trowel is designed utilizing the finest quality material and advanced technology. This trowel is carefully checked on set quality norms that assure its quality and strength. It is also called as Gurmala, Trowel Gurmala, Etc. wall ties with different alignment available with various prices. It is also called as Sharmet, Wall Ties, Hold Fast, Wall Ties Masonry, Brick Laying Hold Fast, Window Stay, Window Hold Fast, Fish Tail Hold Fast, Etc. Thread 5 to 6 Ft.
We are a unique entity in the industry, actively committed towards manufacturing and exporting the best quality range of Plumb Bob. It is gernerally called as Plumbob. 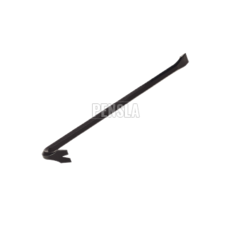 We are manufacturing the highest quality of Wrecking Bar made from superior material. TheWrecking Bar is forged/ hardened/ tempered to perfection. It is also called as Roughneck Wrecking Bar, Crow Bar, Nail Pulling Claw, Pry Bar, Etc. We are counted amongst the prominent organizations that are engaged in manufacturing, supplying and exporting qualitative Crow Bars. Our offered crow bars are manufactured by knowledgeable professionals using quality-approved metals, as per the set industry norms and standards. Moreover, entire manufacturing process is conducted in a sound infrastructure facility, wherein we follow strict quality control procedures. It is also called as Iron Digging, Fench Bar, Pinch Point Bar, Pry Bar & Hex Shaft.The product is also known by its Italian name as (A) Barramina (B) Leverino Tipo Napoli. We have added a wide variety of Groven Chisel in our product-line to meet clients' varying demands. The chisels we offer are designed and fabricated by skilled workmen, using optimum quality metals and advanced techniques. 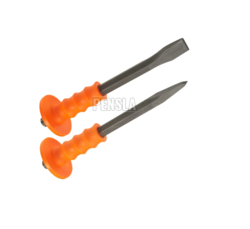 We make it a point to design these Groven Chisels as per the universally accepted norms and standards. It is also called as Chisel With Grip, Chisel Without Grip, Masonry Chisel, Pointed Chisel, Flat Chisel & Groven Chisel.The product is also known by its Italian name as Scalpello Da Sagomatura. 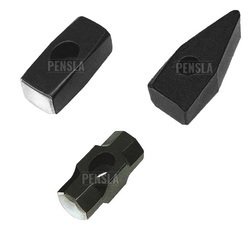 We are providing an excllent quality of three different kinds of Hammers. 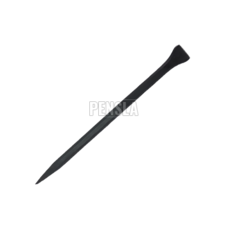 We enthusiastically involved in manufacturing and supplying a wide array of Iron Nail and many other products. Keeping in sync with the set international quality standards, our adept professionals manufacture these products by using high grade raw material and progressive technology. Our provided products are highly distinguished in the market, owing to their admirable features such as superb strength, high durability, rust proof nature, sturdiness and simple installation. 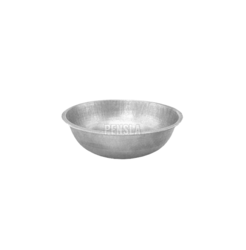 These products are broadly demanded in a wide range of industries. 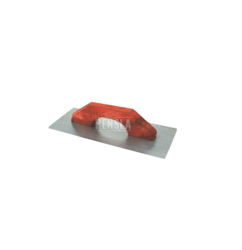 In order to cater to the specific requirement of the clients, we make available all these products in numerous sizes, material types & grades, dimensions and many more. It is also known by Panel Pins, Iron Wire Nails & Iron Temper Nails. Our Galvanized Iron Mop Buckets is constructed from high quality iron and is widely known and appreciated for higher durable and strong design. With sincerity and hard work of our professionals, we have carved a niche for ourselves in this domain by providing a premium quality of Ghamela. It is also called as G.I. Ghamela, Iron Tasla, Ghamella & Headpan. 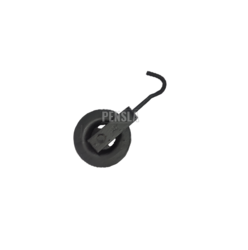 Roller Tracks are made using superior quality material and are provided with small wheel pitches. This pitch ensures outstanding uniform distributed lengths. Charcoal Iron is also known by GMC Charcoal Iron.